As we move closer to the release date of the Assassin’s Creed movie, Ubisoft has been releasing a series of trailers and featurettes, giving moviegoers and fans of the Assassin’s Creed video games an idea of what to expect from director Justin Kurzel’s upcoming movie. Australian director Kurzel was also behind 2015’s Macbeth movie, which starred well-known Hollywood actor Michael Fassbender and attractive starlet Marion Cotillard, who also happen to be the leads in the upcoming Assassin’s Creed movie. In the movie’s latest featurette, we see Fassbender (who plays both protagonist Callum Lynch and his 15th century alter ego Aguilar) discuss the things that may make this movie attractive to viewers, such as the fact that the film will rely very little on CGI, and more on practical effects. “We wanted to have as much old-school, real location shoots as possible”, according to Fassbender. 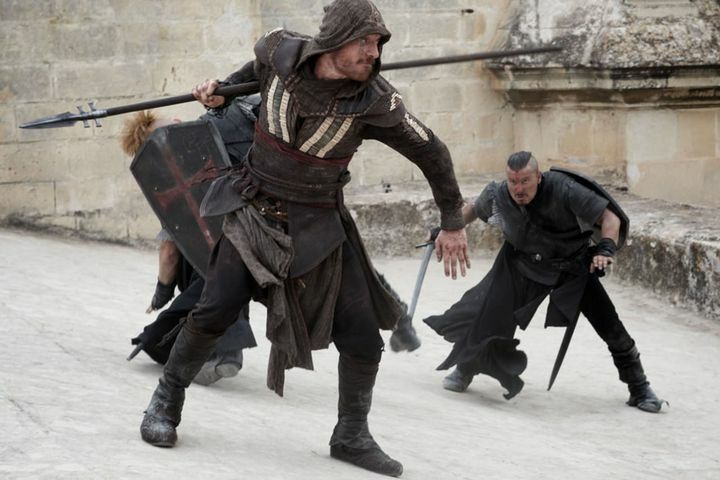 Also, director Kurzel explains that the movie is aiming for realism, saying that the team behind the movie “is determined to make an audience believe that this world and these characters exist”, and also that Spain was chosen as a setting as it helps convey the “exoticness of the Assassins”. But even though it seems that the scenes set in 15th century Spain will be looking great, we already know that most of the movie will be taking place in the present day, unlike Ubisoft’s video games which were mainly set in the past. And these present-day scenes take place in the laboratories of the evil corporation Abstergo, which wants to access the genetic memories of Callum Lynch (Fassbender) to obtain information about his ancestor Aguilar, who was a member of the Assassins (the sworn enemies of the Templar order which Abstergo belong to). So although the movie is certainly looking good judging by its most recent theatrical trailer and this interesting featurette, it remains to be seen whether moviegoers who have never played the games before and fans of Ubisoft’s Assassin’s Creed video games will be thrilled this December when the movie hits the theatres… But it would certainly be a good thing for the video game industry if this Assassin’s Creed movie managed to break the video game movie curse and became a critical and commercial hit this Christmas.